As a replacement or spare, this blue Swiss watch bracelet for Wryst collections is bright and colorful. Originally the blue bracelet is fitted on the Wryst Elements PH7 Swiss sports watch which has a slate grey dial with small blue details, and black casing. 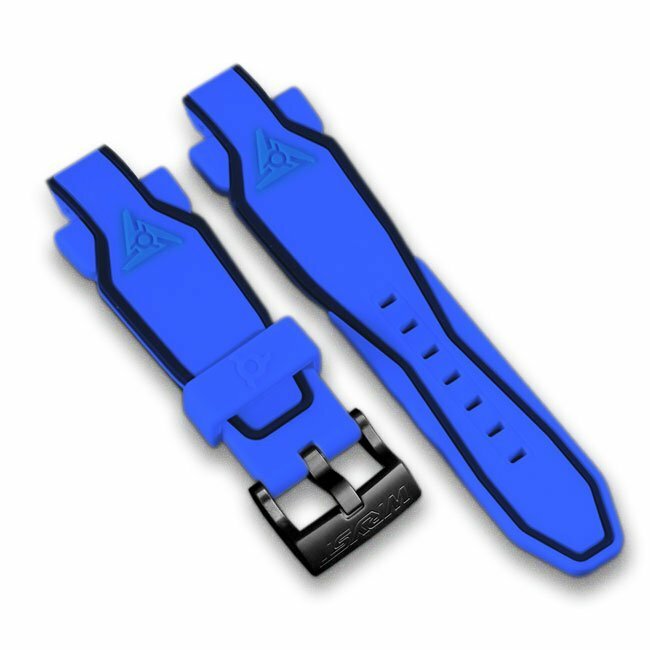 Also included with this blue bracelet is a square stainless steel grade 516L black buckle. Choose blue, the color that will empower you. why not strapping on the stunning blue watch Wryst Elements PH7 on a sunny day while enjoying outdoor sports? No matter what you do, there will always be blue around you. This exclusive dual tone deep blue bracelet with two black lines on the sides is a true dedication to nature and the elements. 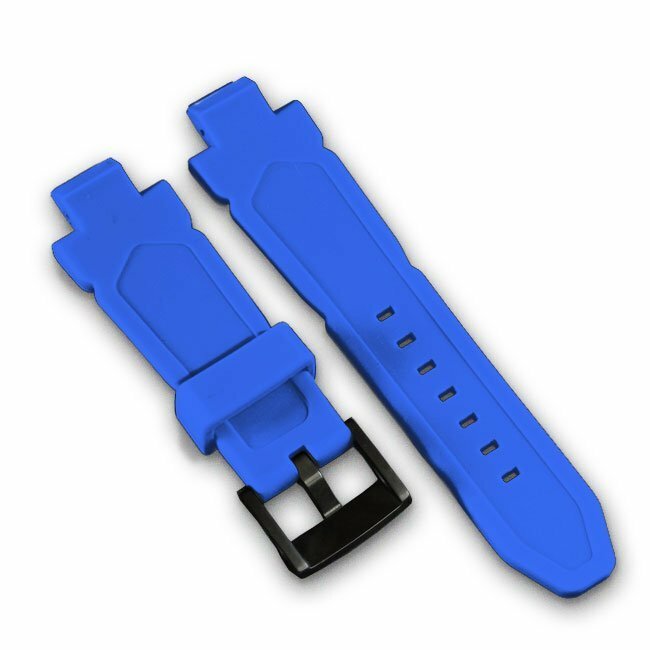 The soft and resistant silicone is dust-proof and firmly attached to the watch case with screws. Wear the color blue, the color of the sea and also the sky. This color is often associated with stability. It symbolizes loyalty, wisdom, confidence, and intelligence. Psychologically, blue is considered beneficial to the mind and the body.